HOW TO – Send Raspberry Pi Data to COSM #IoT #piday #raspberrypi @Raspberry_Pi « Adafruit Industries – Makers, hackers, artists, designers and engineers! 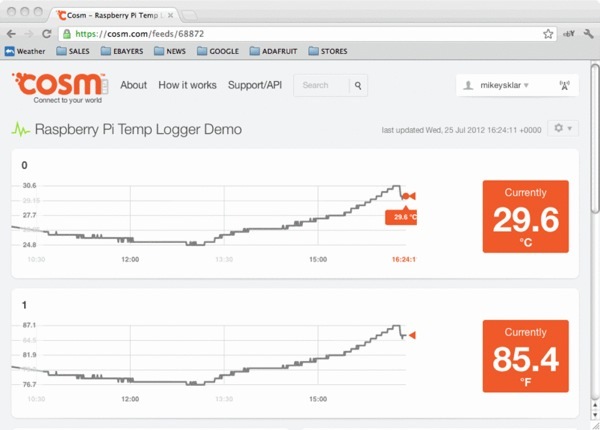 HOW TO – Send Raspberry Pi Data to COSM @ The Adafruit Learning System. The combination of connecting a Raspberry Pi to COSM makes creating a internet of things much easier than it has been in the past. The Pi with it’s easy access to ethernet / WiFi and COSM’s drop dead simple usability will graph all sensor data you send to it. 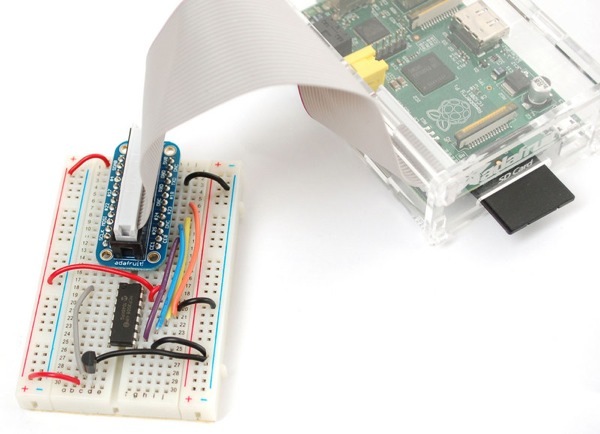 This tutorial explains how to connect a analog temperature sensor to the Pi and use a small python script to upload that data for storage and graphing on COSM. Wow, you guys are some sort of mind readers. I was planning on doing this exact same thing as my weekend project tomorrow. The only difference is that I’m using an arduino to collect the data and send it over serial to my pi. I’ve been banging my head trying to figure out cosm, and this just enlitened me. Thanks!